This is a very simple infusion. Peel and slice a cucumber, add vodka to cover. 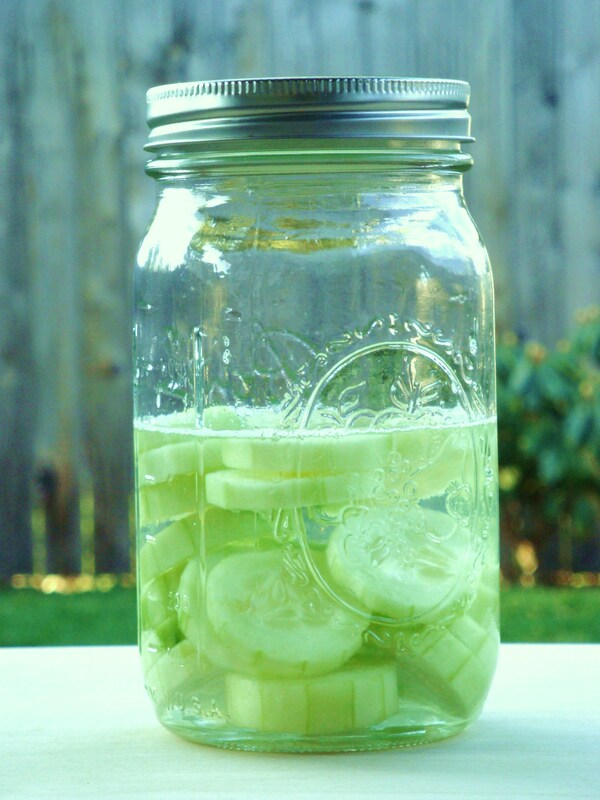 Let infuse for a week, remove the cucumber slices, and enjoy! I let this infuse for about 2 weeks, but I don’t think the extra week did too much for the flavor. The end result is refreshing and clean. It will be perfect for cocktails! Categories: Infusion | Tags: cucumber, infusion, vodka | Permalink. mmmm! makes me think of summer! Try this with a mellower gin such as Plymouth some time – it’ll knock your socks off! Sounds great! I haven’t tried Plymouth gin, but I will give it a try. Martin Miller is also lovely for a mellow gin. If you haven’t tried it, I highly suggest it. i second that. the mellow bitterness of the gin goes well with the freshness of the cucamber. do you refridgerate it when you infuse it? No, I did not refrigerate the cucumber vodka either during or after the infusion. It did not require it, although you could do that if you prefer it colder. Some infusion recipes say to put in the refrigerator, but typically if the alcohol content is high enough (even with the addition of the substance that is infusing into the booze) it doesn’t require refrigeration. * I’m not an expert, so you may want to verify that! Beautiful shot of your vodka infusion. Soju is also a good medium for cucumbers as well as other veggies, fruits and flowers. Thanks for the compliment and the tip! I have never tried soju, but keep hearing about it so maybe it is time I found some! This is the best! I made a cocktail mixed with homemade ginger liqueur…my new favorite! I made this for the basil and lime cocktail for a party in March. After two weeks the cucumber started to look sad so I blended it. It’s refrigerated and tastes fine to me, even now, in July. But no one else will drink my chunky cucumber vodka. Suggestions? I see now that I never specified you should remove the cucumber before drinking! Sorry about that. Glad you enjoyed it.